Another month another vacay! 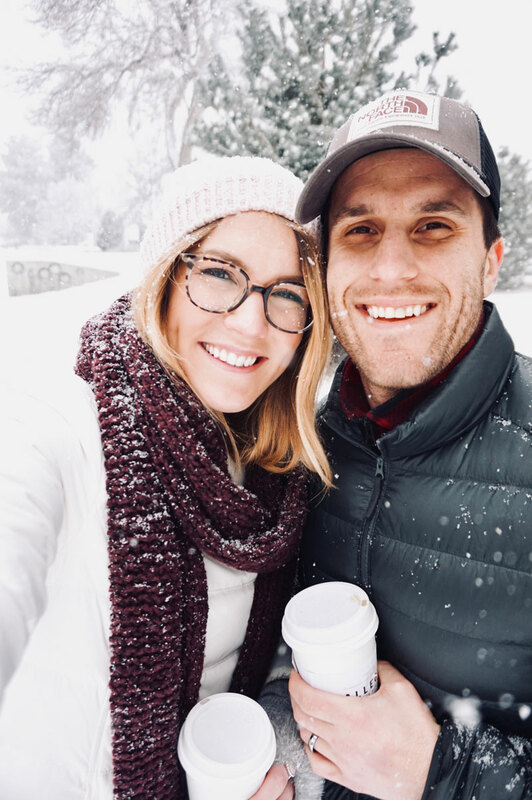 We jetted off to Denver for a long weekend to celebrate Valentine's Day a little early. The Mile High city gave us all the weather and aaaalllll the food. I am still full just thinking about the breakfasts we devoured each morning! We were lucky to have 60 degree sunshine, 40 degrees with a crisp breeze aaaaand 14 degrees and snowy. 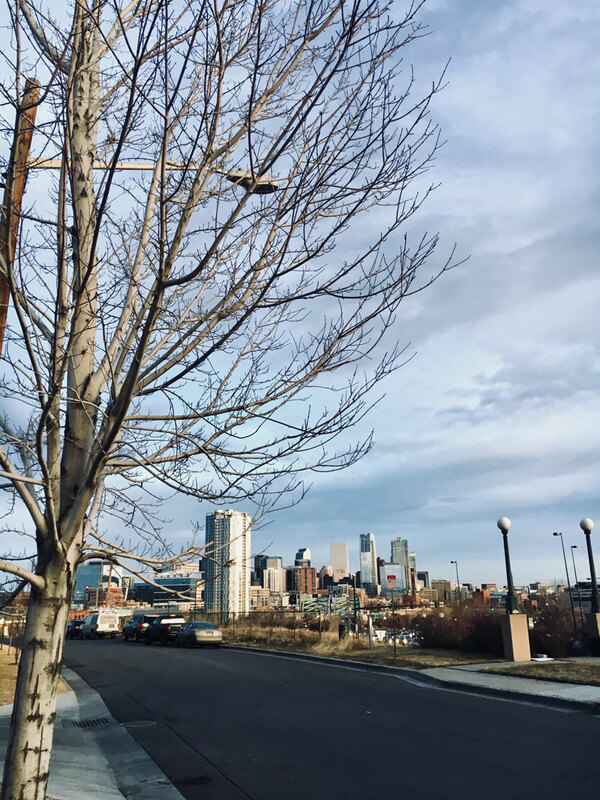 If we're being honest, we weren't blown away by Denver itself. It was just another downtown area, it was very modern and it didn't offer a lot of local shopping or unique things to do. That being said, though, the food scene and nearby outdoor activities were top notch! 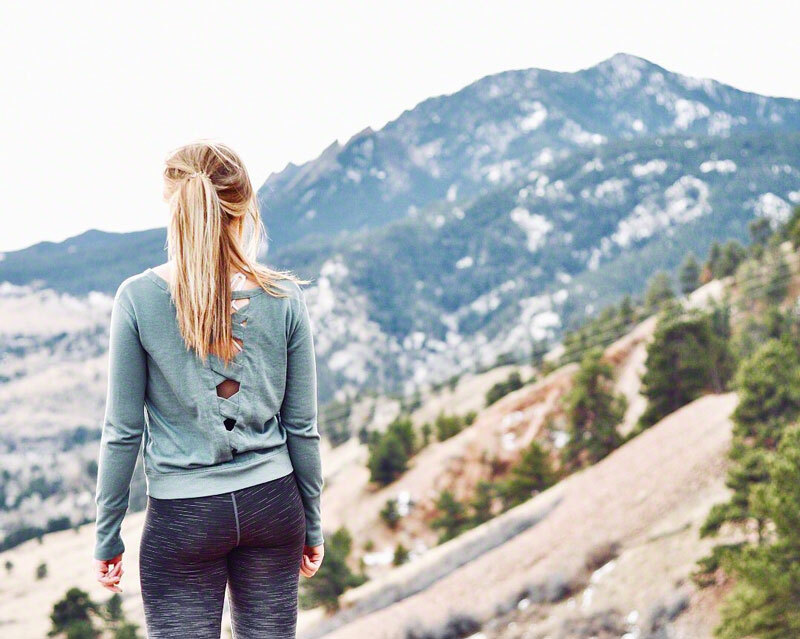 We loved taking a day trip to Boulder! 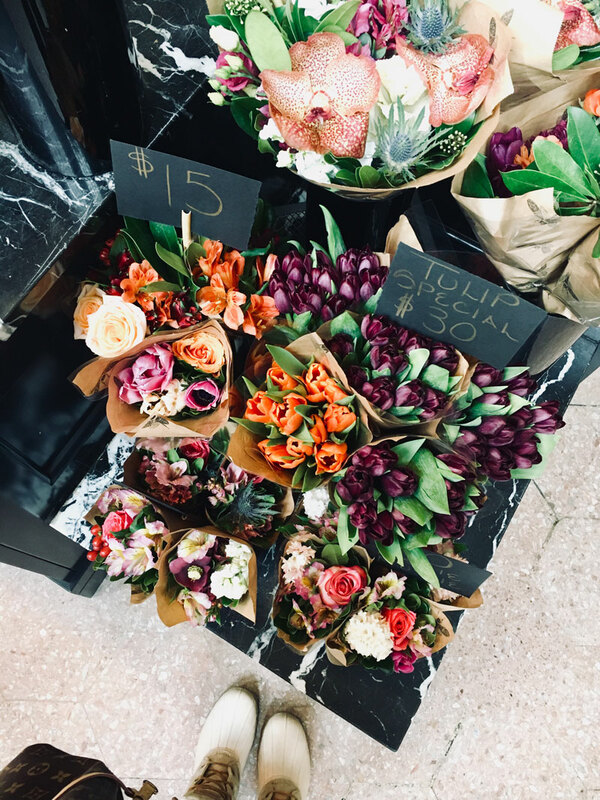 Scroll on down to see what our favorite stops along the way were. • Rent a Car if you plan on going further than downtown (i.e. to the mountains). Be prepared for parking, though, most options are paid! We used Silver Car and highly recommend it! Great price, amazing Audi, super stress-free pick-up and drop-off. We will be using them on future trips, no doubt about it (not sponsored, just awesome). • Check the Weather. As I stated above, we had several different types of weather while we were there and it changed instantly. Be prepared for anything! • Bring your appetite and drinking pants! The food scene is great and breweries are very popular. • There's no need to dress nice. 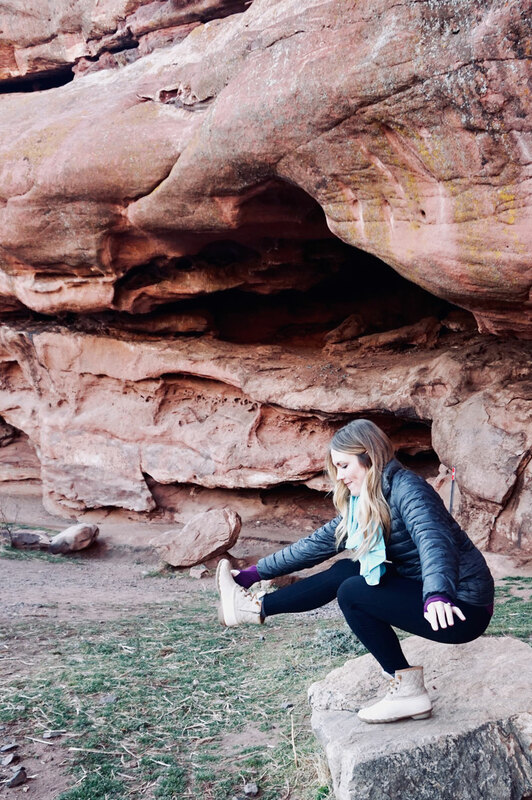 Colorado peeps were athleisure clothes everywhere (and I love it). • Utilize the Free Mall Ride bus if you are downtown - it is easy to hop on and off if you know the route. Top, Similar Here | Similar Leggings, also love these with pink ombre! • Snooze: everyone talks about Snooze so I had pretty high expectations! It was really good and the service was much quicker than I was expecting (though we did go on a Thursday). I got a pancake flight - my favorite was the pineapple upside down pancake! I expected to be blown away by Snooze, and I wasn't, but it wasn't disappointing by any means, either. • Cart-Driver: this place is tucked into a shipping container in the RiNo neighborhood. 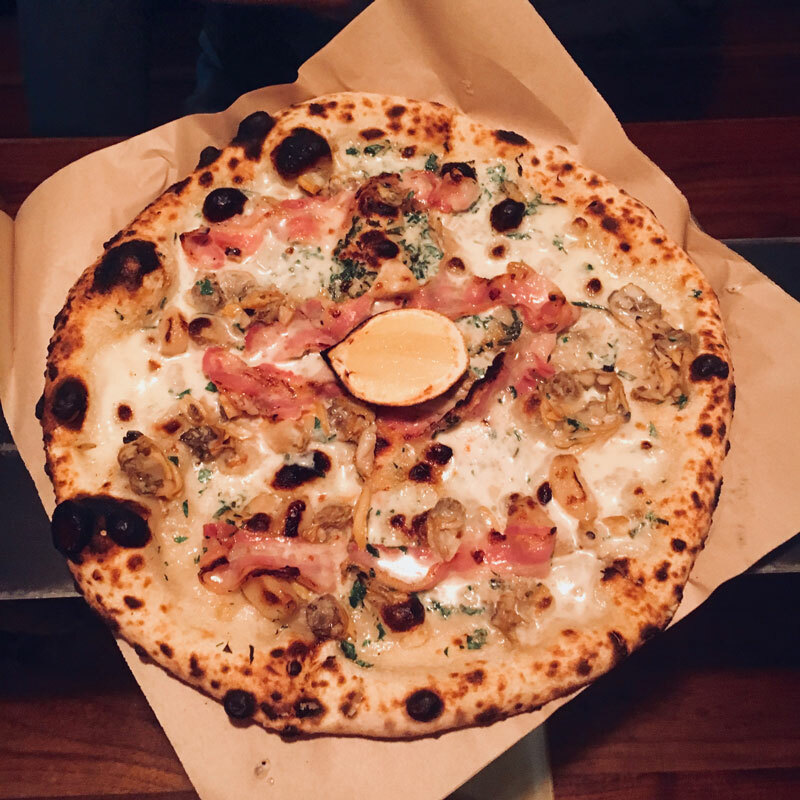 It is TINY, but they pack a punch with their delicious wood-fired pizza. I read multiple things stating that their clam pizza is to.die.for so I knew we had to try it. To Die For is an accurate description. It was filled with delicious, fresh seafood taste - and we were even in a land locked state! It was RICH but was just the right size to split and be satisfied. • Sassafras American Eatery: Two things about me..... I appreciate a good breakfast and love historical homes. Sassafras fulfilled both those passions! They have several locations, but we visited the 26th Street location which was in a renovated 1800's home. It was SO cute, the decor and china was mismatched and straight out of your Grandma's country home. The food and coffee were straight up scrumptious - best coffee of the trip! I ordered the white lavender latte and Chicken Fried Eggs and Buffalo Hash. MY GOSH. My taste buds will never be the same! Definitely want to fly back to Denver just to eat here - I really want to try the Breakfast Mac! It did upset my stomach a bit (that's what I get for eating healthy all the time and then pigging out), but it was worth it. 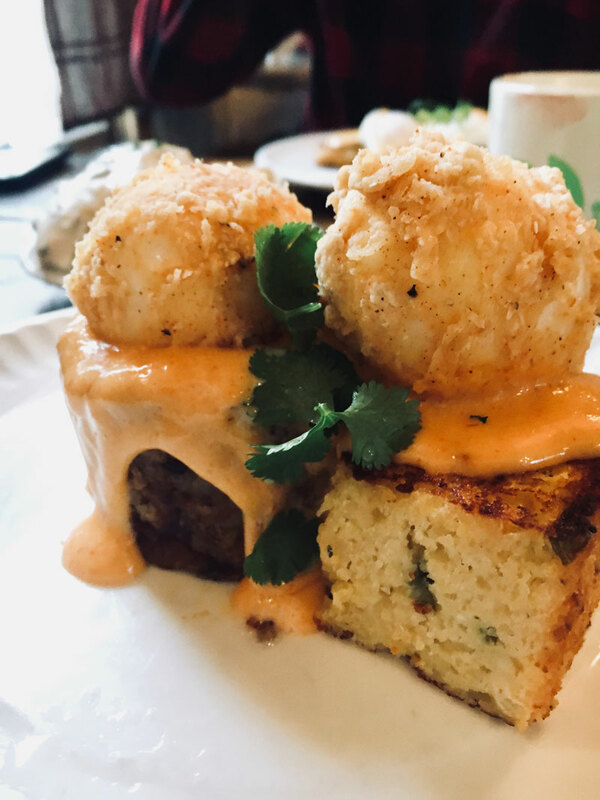 • Denver Biscuit Co.: One more thing about me.... I collect coffee mugs and get an insane amount of joy from picking my mug on weekend mornings. At Denver Biscuit Co., the coffee is serve yourself and they have about 100 mugs to choose from. Mugs of all kinds! Christmas mugs, fine china, diner mugs, quirky mugs, you name it. It was the best! The food was also insanely delicious - it was C's favorite meal of the trip! 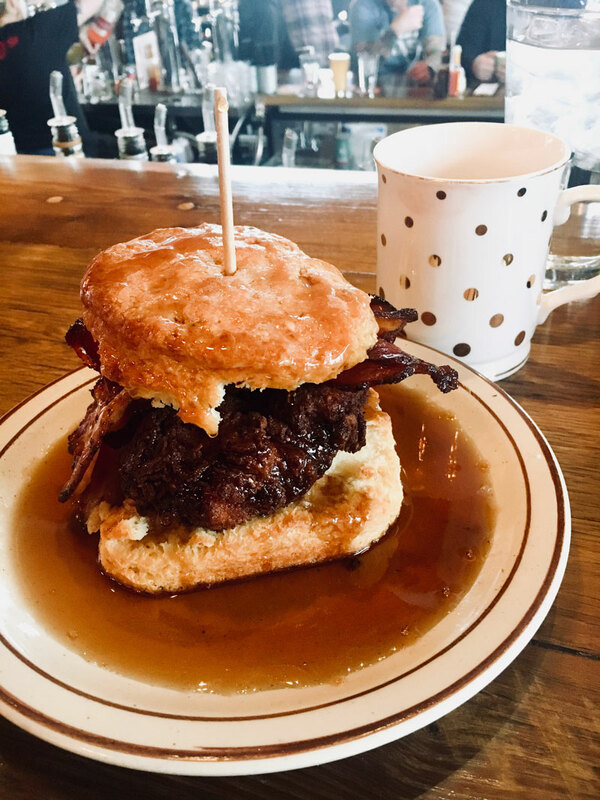 I ordered the Lola - a biscuit sandwich with fried chicken, bacon, honey butter and maple syrup. It was basically a What-a-burger Honey Butter Chicken Biscuit on steroids. It fulfilled my sweet tooth and my savory cravings perfectly. They also had great beers on tap and amazing breakfast cocktails. So much yum! 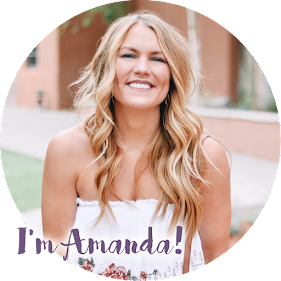 • Rootdown: Another restaurant that is talked about frequently. We actually ate at the location in the airport! We split the burger and although it was good, it didn't blow me away. Again, I think my expectations were set a little high due to hearing and reading so many good things. • Linger: Owned by the same folks as Rootdown, Linger was right around the corner from our hotel so I knew it was the perfect spot for some cocktails! They have a great happy hour menu for drinks and snacks. It probably wasn't worth a special trip, but it was fun and clearly a very poppin/popular place! They have a rooftop with great views, too. 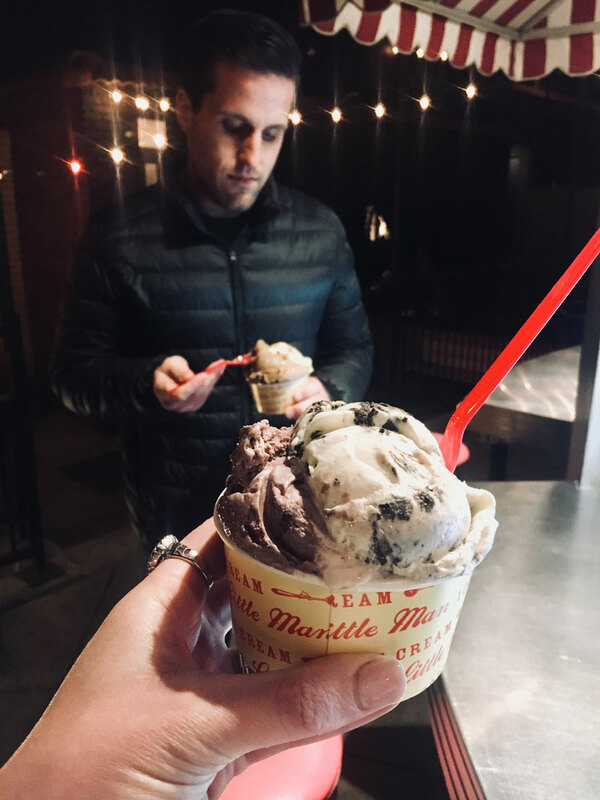 • Little Man Ice Cream: Holy cow. 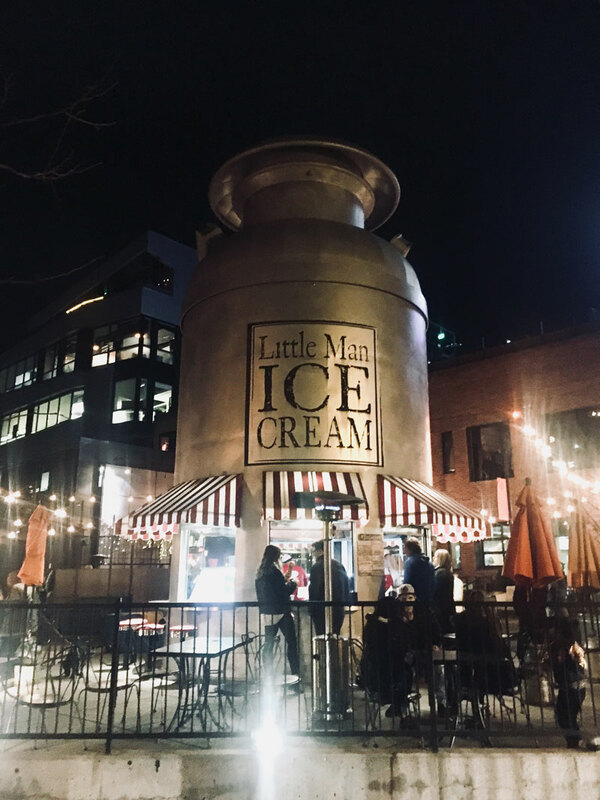 I thought I knew ice cream, and then I tasted Little Man. This is 100% worth it.... worth the wait, worth the price, worth the drive and worth braving the cold. SO GOOD! I highly recommend the Salted Oreo (but be prepared, it is really really salty). I also got the Space Junkie and thoroughly enjoyed it! Note: their servings/scoops are MASSIVE, so you could easily share. I couldn't finish mine! We actually found Little Man Ice Cream for sale at a gas station and picked up a quart of Banana Pudding for our hotel room. It wasn't as good as Blue Bell Banana Pudding, but it was still tasty and high quality! 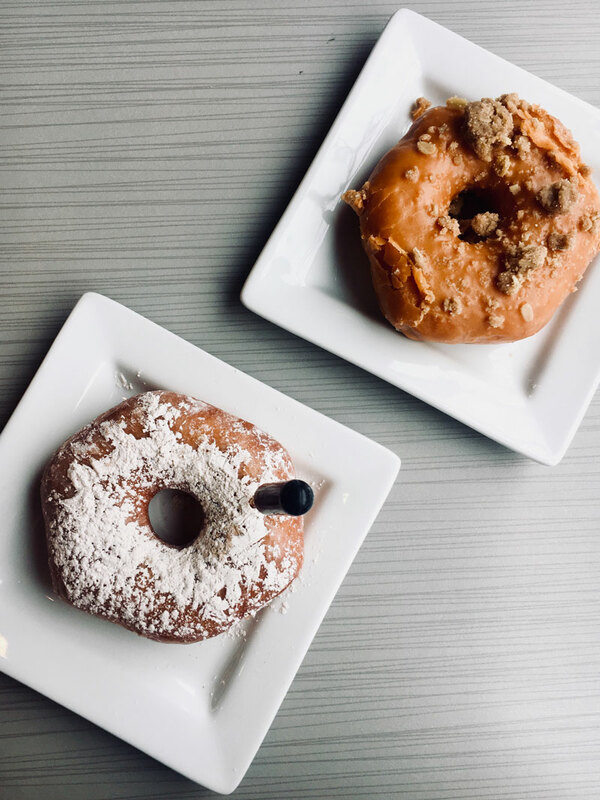 • Habit Doughnuts: It is always a must do for me to find unique local donuts when I travel! You know I love VooDoo Doughnuts (they have a Denver location) but I thought I'd try something new. We stopped by Habit Doughnuts, instead....it was certainly new and different! They only had a few doughnut flavors but they offered a ton of alcohol you could purchase by the dropper to infuse your doughnut with. It was an experience, for sure, but VooDoo still holds my heart. 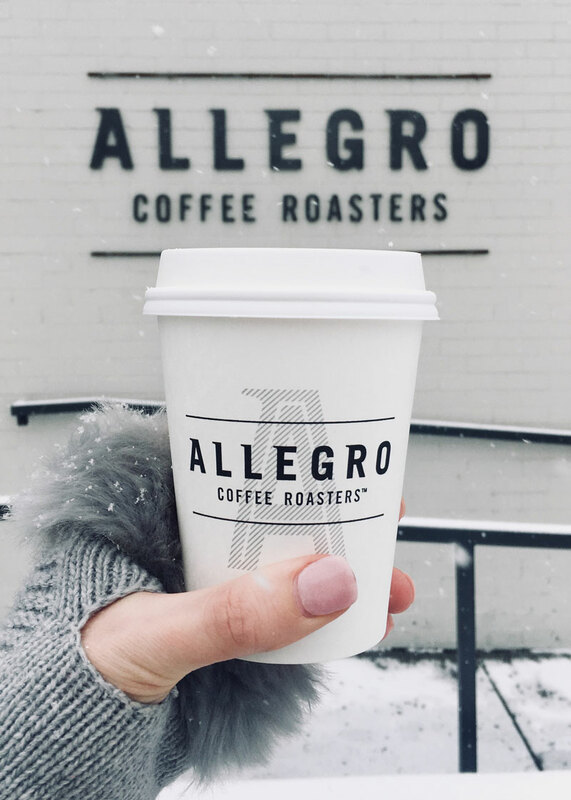 • Allegro Coffee Roasters: We stopped here on the day it snowed and it definitely warmed my soul! Their Pumpkin Almond Latte is what Basic White Girl's hearts are made of. 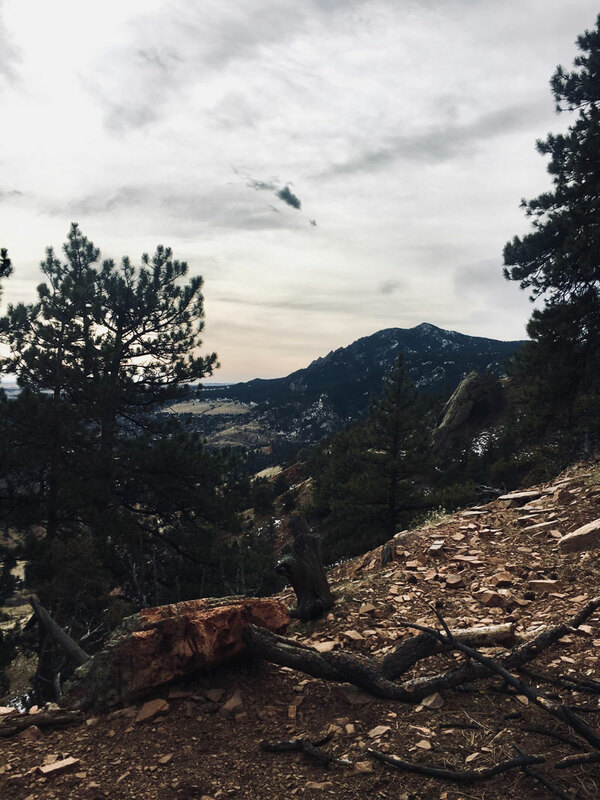 • Mount Sanitas: We took a day trip to Boulder for a little hiking and I'm so glad we did! It was by far my favorite activity. 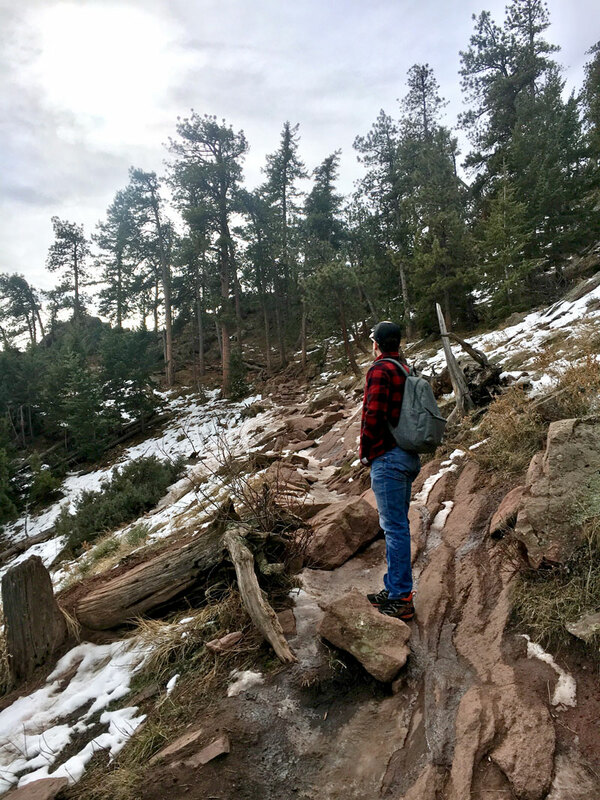 I bit off a little more than I could chew at Mount Sanitas ... probably not smart for someone recovering from shoulder surgery! The "moderate" trail was a little scary at times (I reeeeally didn't want to slip and fall and re-injur my shoulder), but had I been 100% healthy, I think it would have been very doable. I was surprised at how much the elevation affected my breathing! I was huffing and puffing five minutes in. The first side of the mountain started out with a wide, easy trail (we even saw some deer) but it quickly became smaller, steeper and rockier. Towards the top, it got REALLY rocky - there were a few spots you had to pull yourself up or crawl! Once we hit the top, the mountain views were incredible + the way down was a lot easier. 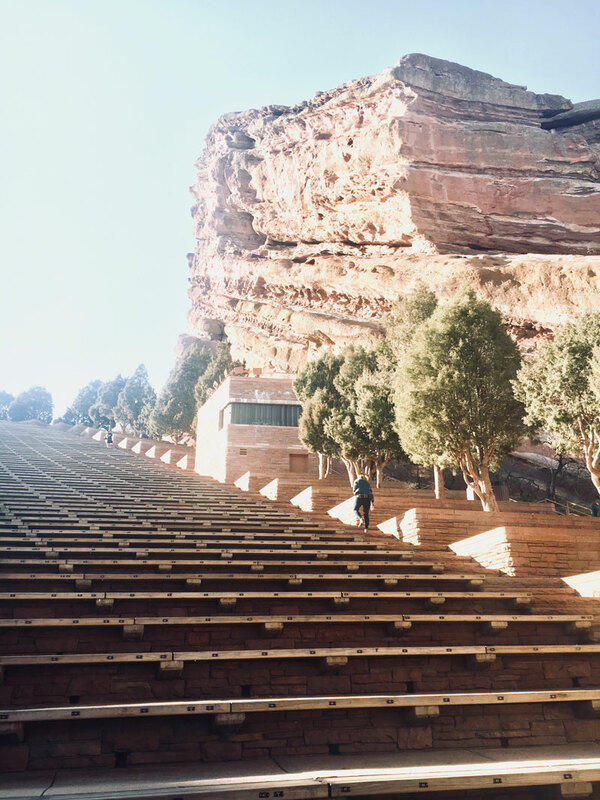 • Red Rocks: a quick drive from downtown, Red Rocks is an amphitheater but when its not being used for concerts, it is a popular place for fitness enthusiasts to get their body weight workouts in! We visited in the morning but it was soooooo foggy you couldn't see anything! Luckily it was close enough to drive back out in the afternoon once the fog cleared. It was inspiring to see so many people running stadiums and getting fit. 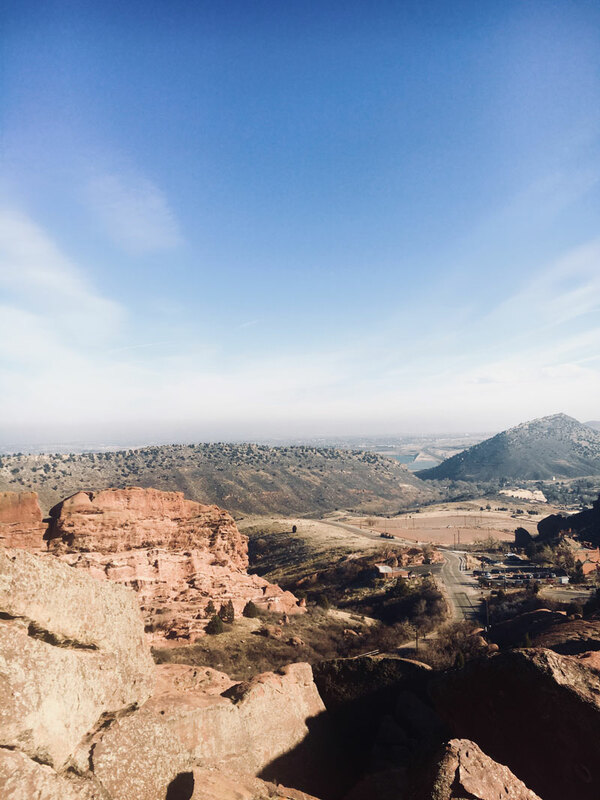 There are several hikes that start at Red Rocks, as well (several of them are a couple miles long) but the fog kind of ruined our plans and we didn't have enough time in the afternoon to hike. 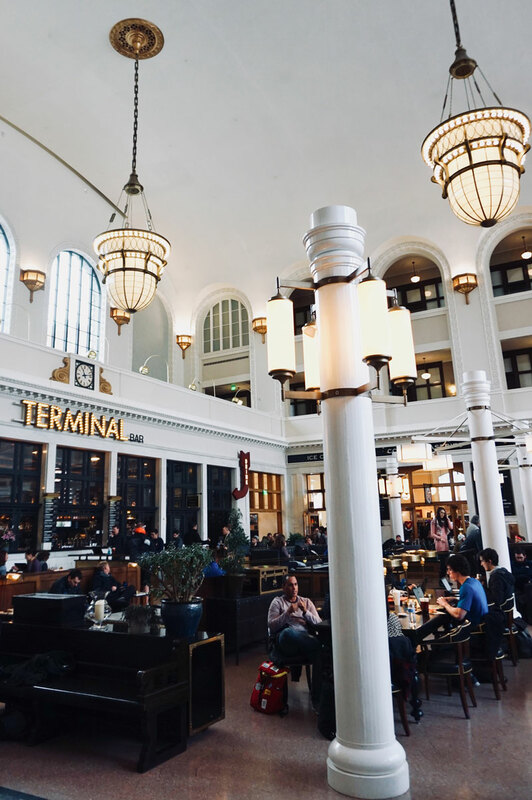 • Union Station: if you take a train to Denver (or the train from the airport) it drops you off at Union Station. The station is so cute! It is lined with lots of shops, bars and restaurants, even a flower stand and a hotel! All of the amenities make waiting to board a train much easier, I'm sure. 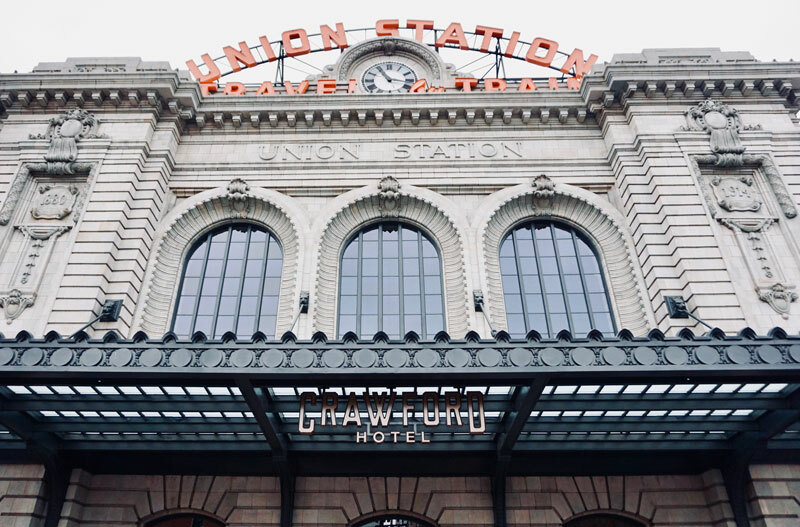 • Breweries: can you visit Denver without visiting a brewery?! I think not! They are on almost every corner in town and always filled with people. We visited several including Ratio Beerworks, Denver Beer Co., Epic, C Squared Ciders and Infinite Wine Theorem. 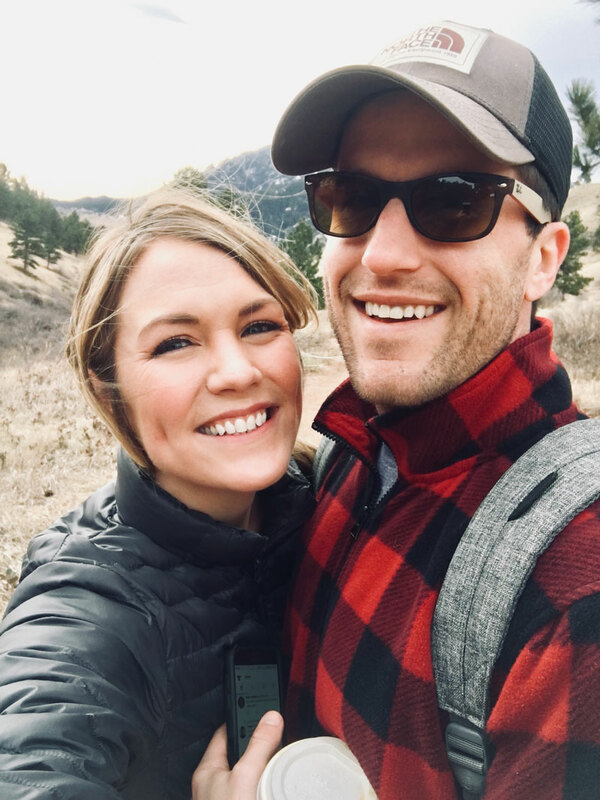 Our absolute favorite, though was Avery Brewing in Boulder! The Chai High beer was delicious (I could have drank a six pack of it by myself) and the Nursia and Benedictus beers tasted like Christmas tree cocktails. So good! We also got lunch while we were there and absolutely loved it (we split the fried chicken sammie). Highly recommend all around! • Larimer Square is a very popular area that has Christmas lights strung year-round! I found it amusing that it is actually a street, not a square. Most of the stores were a little out of my price range, but it was still pretty to walk through. There are also bars and restaurants sprinkled in the mix. 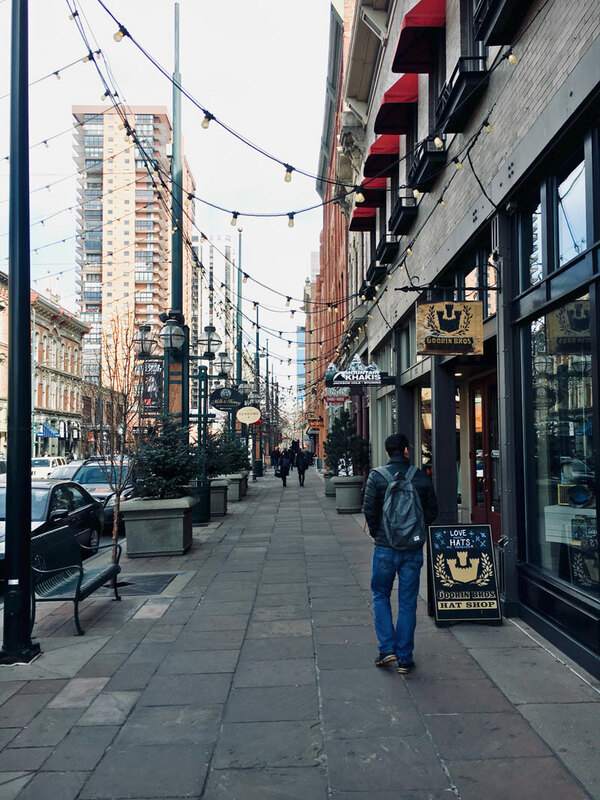 • 16th Street Mall is a tree-lined pedestrian friendly promenade (no cars, except the Free Mall Ride bus). It is mostly restaurants with a few name brand stores (like LOFT) mixed in. • Tennyson Street in the Berkley Neighborhood is the cutest area lined with boutiques, gift stores and coffee shops! Definitely my kind of place. I didn't find anything I needed to take home, but it was still fun to prowl. • Tattered Cover Bookstore is a cool spot if you're a book worm. Me, not so much, but C enjoyed it! We stayed at the Hampton Inn & Suites Denver-Speer Boulevard. Though it wasn't in the middle of downtown, it actually worked out to our benefit! It had a great downtown view and was much easier to get around town and/or on the highway. Downtown Denver was often congested (tons of red lights and traffic) and it could take forever to get through it all and to your destination. 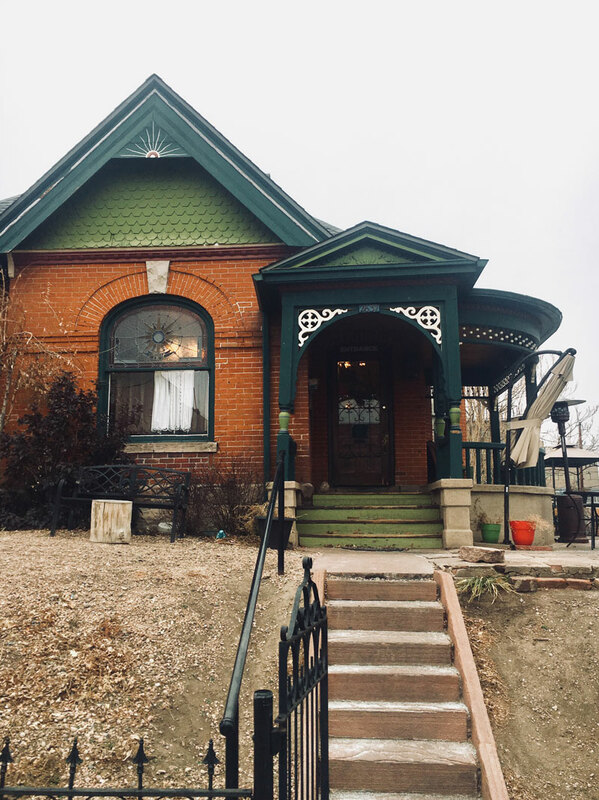 I would definitely recommend staying on the outskirts of LoDo - we were still within walking distance to several of the hot spots! I will say, I was battling a head cold/allergies the whole trip. That may have clouded my vision and made me like things less! It certainly made me feel less like myself - heck, my photo game was off the whole trip! Apologies for the lack of quality photos (at least in comparison to my other travel posts)...hello iPhone pics. 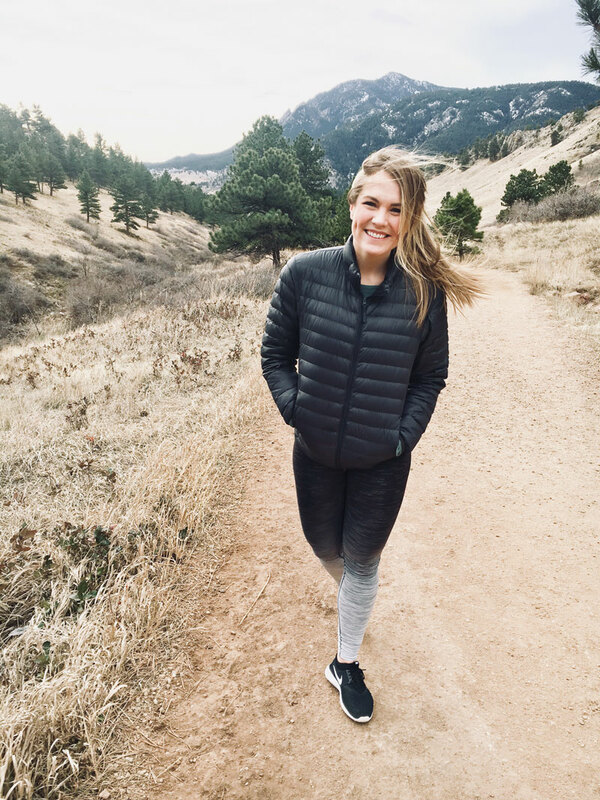 I think Denver is a foodie's heaven for sure and if you have the time and ability to do a lot of day hikes or other outdoor activities, it is the perfect destination for a little getaway. 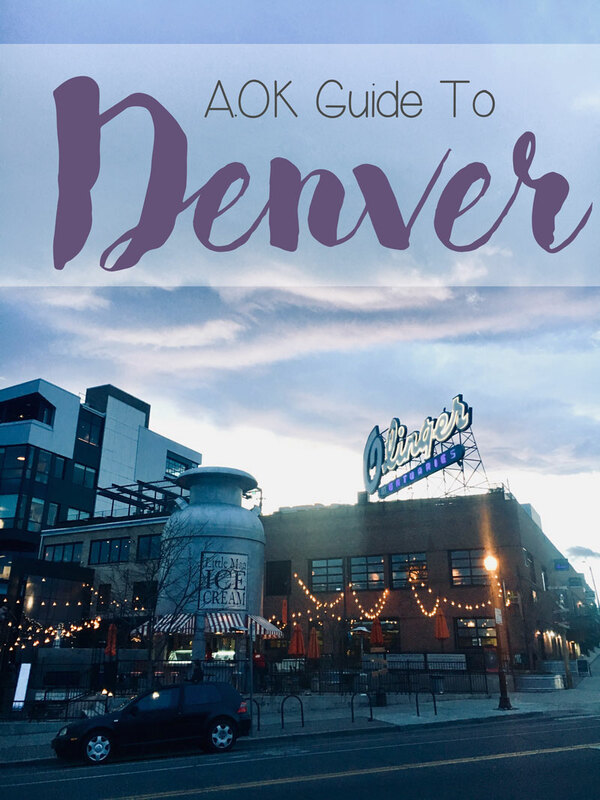 Have you been to Denver or the surrounding areas? If so, I'd love to hear your input! Believe it or not this was my first trip to Colorado! 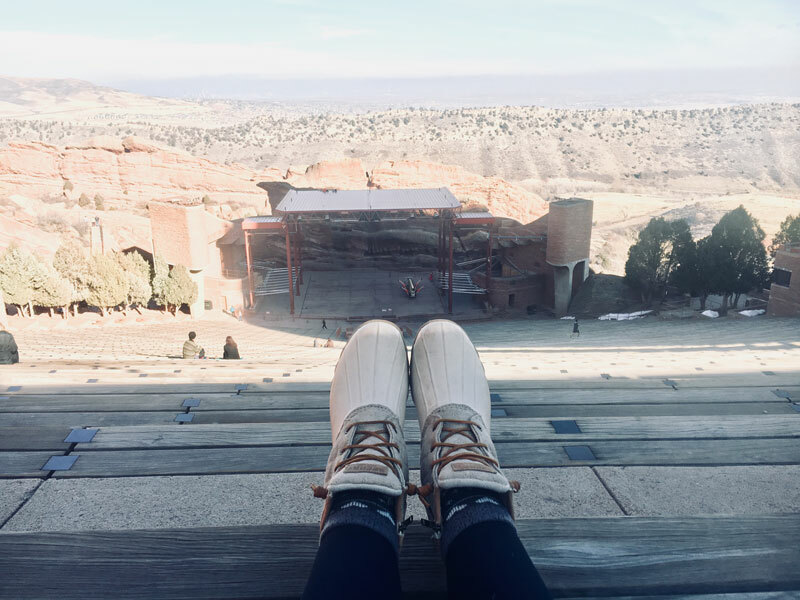 Though I'm not necessarily dying to go back to the Mile High City itself, I would most certainly visit the surrounding mountain towns in a heartbeat. Thanks for reading - stay tuned for another weekend trip coming up in March (this one to somewhere much warmer but equally as tasty). Any guesses where?! Until next time!